Even on a bright sunny day, meeting up with the Angel of Death can be somewhat daunting. 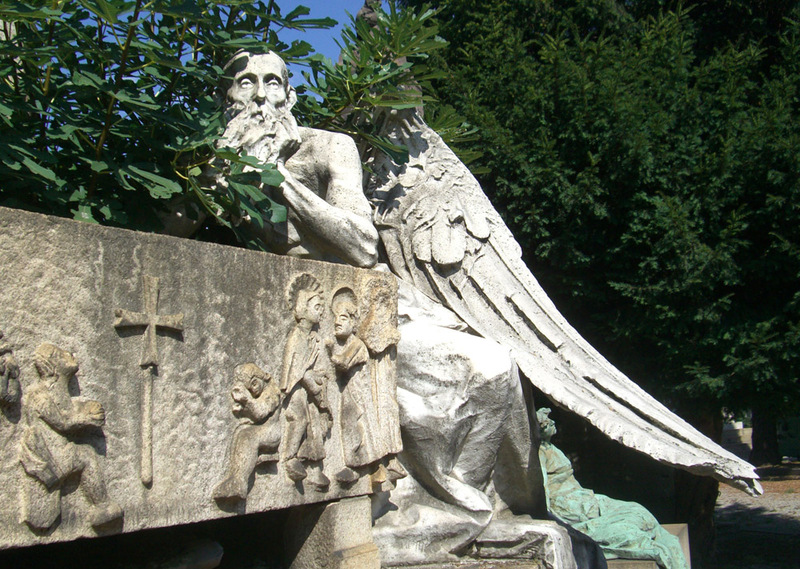 He is one of the more imposing figures in Milan's Monumental Cemetery. He leans against a replica of an ancient sarcophagus, linking his own Victorian countenance to the death and burial customs of an earlier age. I wonder about the small figure sheltering under his wing. Is this a representation of the departed family member? It’s all a reminder that life is fleeting and death is eternal.